The dress on the left is based on a Hyde Park walking costume, but I think it should be a riding habit since I haven’t seen many very good riding habits from this period. Also, the hat amuses me pretty deeply. 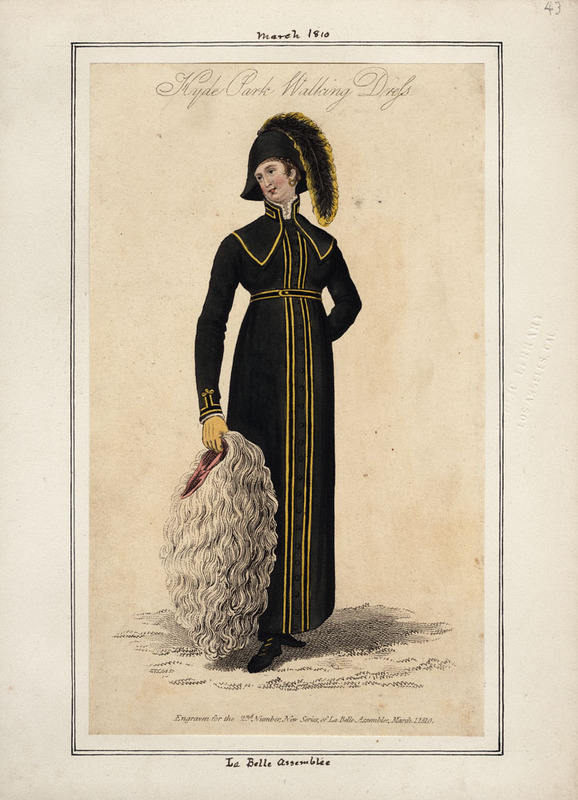 The Hyde Park walking costume is a fashion plate from the Casey Fashion Plate Index. 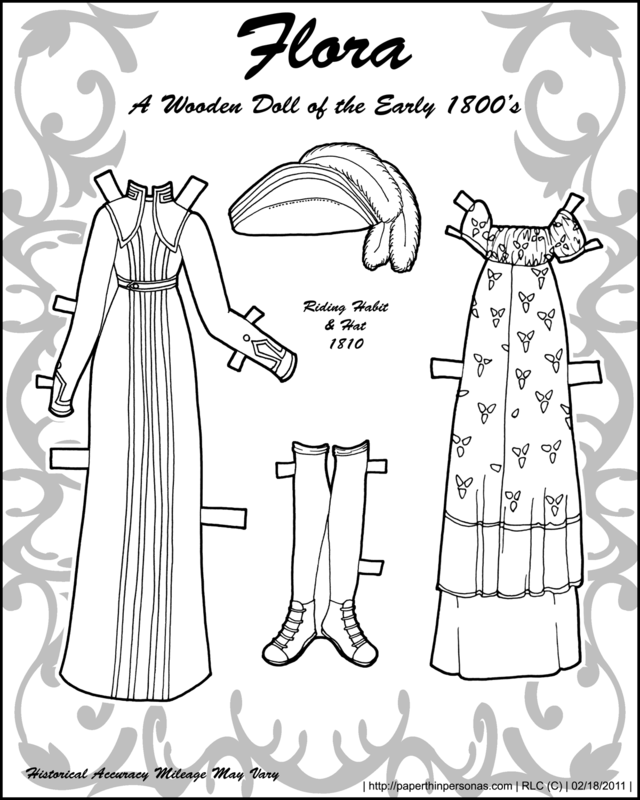 There’s a new-ish paper doll blog called Silent Moonstone which features some darling paper dolls. They sent me a very nice email asking about how I color Marisole and Pixie. The short answer is that I use a combination of Photoshop and a filter called the B-Pelt Filter. Someday, I might make a tutorial with a long answer, but for now that’s how I do it. Oh, and I suggest people check back on Sunday. There’s something fairly exciting happening here on Sunday. Okay…. I think it’s exciting… no one else might. I like the day dress, especially the kind of gathered bodice. (Is that what you call it?) Thanks for mentioning us, RLC!